Take your taste buds on a trip to India at these three restaurants. 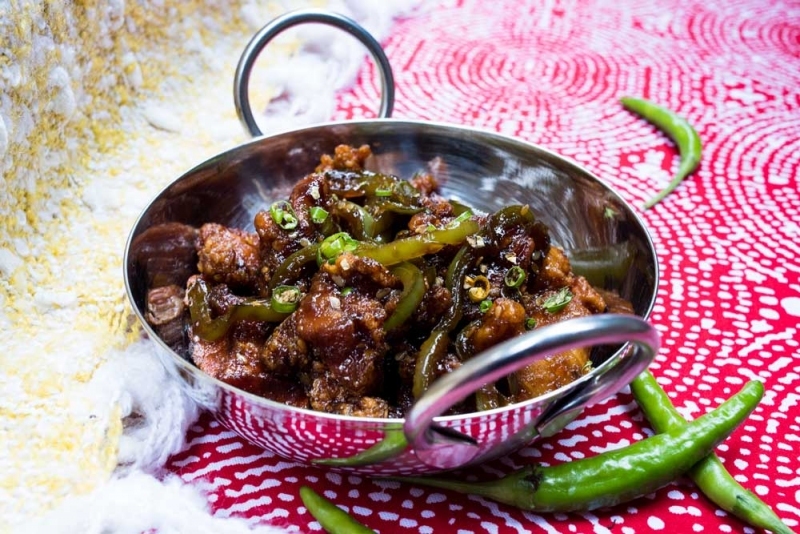 Order a bowl of chili chicken at Calcutta Cricket Club. Photograph by Jared Sych. Bengali cuisine is the highlight at Calcutta Cricket Club, with street-food inspired dishes plus recipes from the owners’ families. It would be seriously remiss, though, not to mention the interior design and cocktail program, which are both fabulous and together with the food form a trifecta of excellence. The rich and authentic flavours and aromas of Kashmiri food come alive at Moti Mahal, which has a robust selection of vegetarian dishes plus a lunch buffet which will leave you longing for a post-lunch nap. Takeout is also available. The traditional dining room provides a perfect backdrop for Namskar’s friendly service and consistently excellent Northern Indian cuisine, which includes rich, creamy curries and tender meats hot out of the tandoori oven.